Because I am alive today, I might want to go left. Tomorrow, I might want to go right. These are not the points. and it is not about the straight and it is not about the U-turn. Life is not about all that. 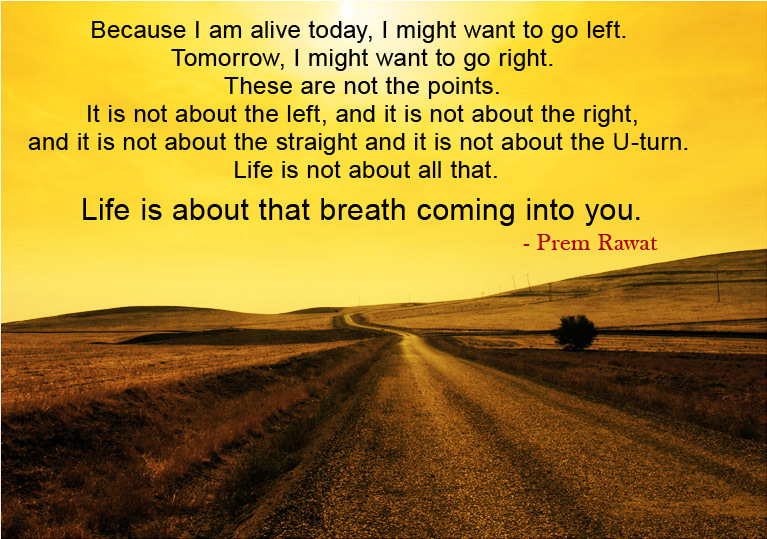 Life is about that breath coming into you.